These are the robots which I like. 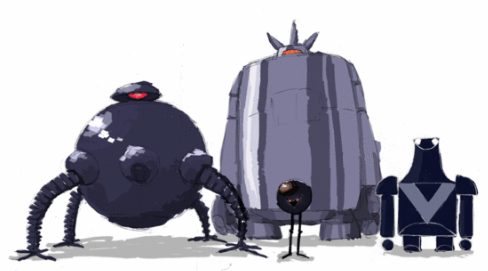 These robots have appeared in following anime and comics. "The Incredibles" "The Flying Ghost Ship" "the cannon god EXAXXION" "Gulliver's Space Travels"
trailer of"The Flying Ghost Ship" is cool! !